As summer comes to an end here in sunny Florida it doesn't really end, fall comes, but to most it still feels of summer. I can't say I feel the same, I do sense a change in the air, I let the windows down in the car a lot more when driving instead of the stale air of the AC. I would have to say the rises and sets of the sun in the summer here are so so pretty that at any time I have to chance to see them I want to capture it. 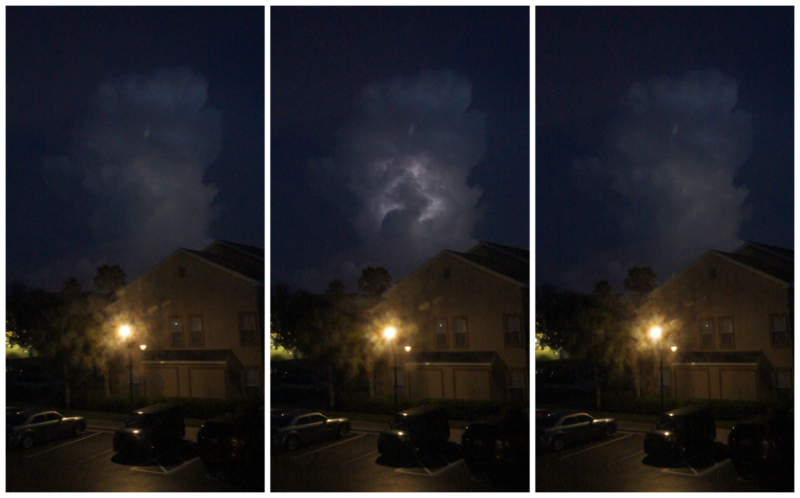 In the pictures above this is all from one night which is really amazing how it can go from a peaceful sunset to one lone thunder cloud. It's a beauty I understand yet really don't all at the same time. Our world and the atmosphere that in cases us amazes me all the time with it's beauty. And although we all see clouds everyday and sometimes without a second thought that they are there, I get lost in them each and every time.. dreaming.